DAYNE Beams wants to move back to Collingwood during this year's trade period, veteran AFL reporter Damian Barrett says. The Brisbane midfielder has gone back-and-forth on whether he wants to stay in Queensland, but now appears determined to leave. "Beams loves the Lions, there are just reasons now why he wants to break the contract he has and return to the Pies," Barrett told AFL Trade Radio. "And it's only the Pies that he wants to return to. "There's no issue with the Lions. He couldn't be more grateful of what the club has done for him. "He just, in an ideal world, would like to return to Collingwood if the planets align. But as we know, there's a contract there for 2019 and 2020 at the Lions." Barrett added: "The Lions will be doing everything to keep Beams, and as (Lions CEO) Greg Swann has been saying, they intend to hold him to his contract." 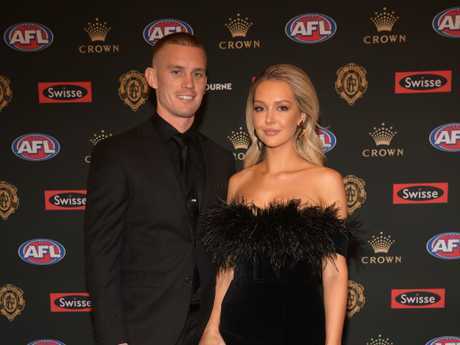 Beams delivered an emotional speech at the Lions' best-and-fairest night, revealing he was close to moving back to Victoria. In the wake of his father's death, Beams said if not for his family he might not have even played football this season. It's been a difficult year for Beams who gave up the club captaincy as he dealt with mental health issues in grieving for his father. 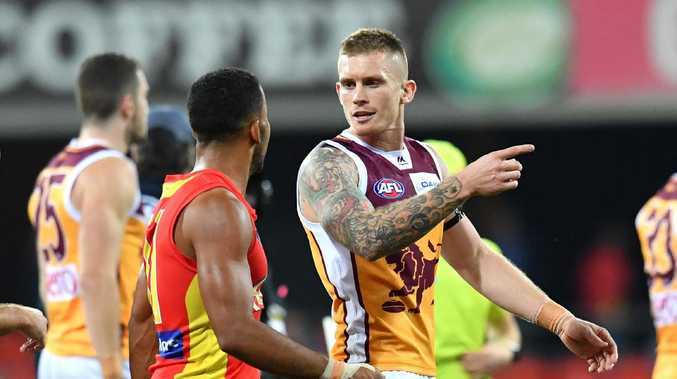 The star midfielder finished second in the Merrett-Murray Medal to Dayne Zorko, the man who took on the captaincy, and thanked coach Chris Fagan and his teammates for their support in 2018. "Obviously, you all know the situation. At the start of the year I had a very difficult patch, not only in my footy career, but in my life," he said. "I've had some struggles through the year and I'll be honest with you I've thought about going back to Melbourne and obviously those discussions happened. "The one thing I kept coming back to was this group and you blokes and I bloody love youse. "The amount of support you've shown me over the last six months has been unreal ... I can't wait to see us progress as a team and a footy club. "That was a real driving factor in me wanting to stay here and stick around and I love where we're going and I love you boys." Beams paid tribute to his family, his brother Claye and wife Kelly in particular. "A lot of people say to me - and I think it's unfair because they don't know (Claye) - 'how did he last nine years in the an AFL system'," he said. "I say the exact same thing to every single person, 'you don't know him, he's the best bloke I've ever met' and that's how he's lasted in an AFL system because he builds culture. "I wouldn't be here if it wasn't for you, I wouldn't have played footy, I guarantee it. "Being able to come home and put my bag at the door and walk inside and see your kids is the greatest thing in the world. "Dad lived with us for while before he passed away. That couldn't have been easy on you ... watching me watch him ... I taken that for granted a little bit and I thank you very much."